Tariff ~ From £35 per person. The Legacy Royal Victoria Hotel is uniquely placed on the edge of the Snowdonia National Park within 30 acres of our very own gardens and woodlands. Being cradled between two lakes Llyn Padarn and Llyn Peris as well as the Welsh mountains our location is quite simply breathtaking. 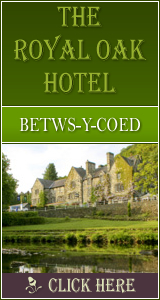 Just 15 minutes from the A55 North Wales Expressway, we are ideally located for both business travellers and leisure travellers wishing to explore North & Mid Wales, mountains & coast. Whether you are travelling on leisure or on business, we believe that The Legacy Royal Victoria Hotel is one of the best hotels in Snowdonia offering both quality and value. 2589 Click Throughs => �1294.5 Since 13/May/2013 based on an example �0.50 cost of a click through from Google pay per click.